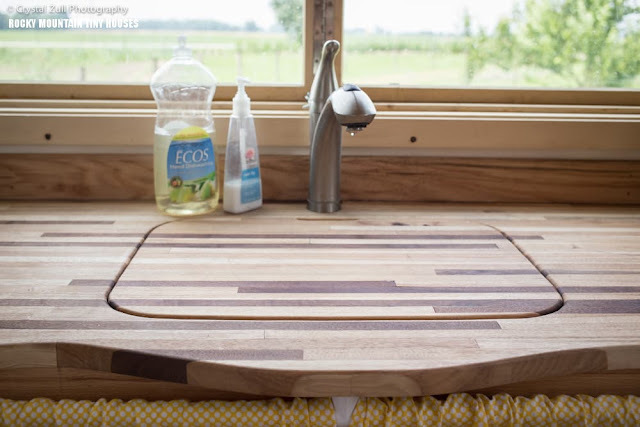 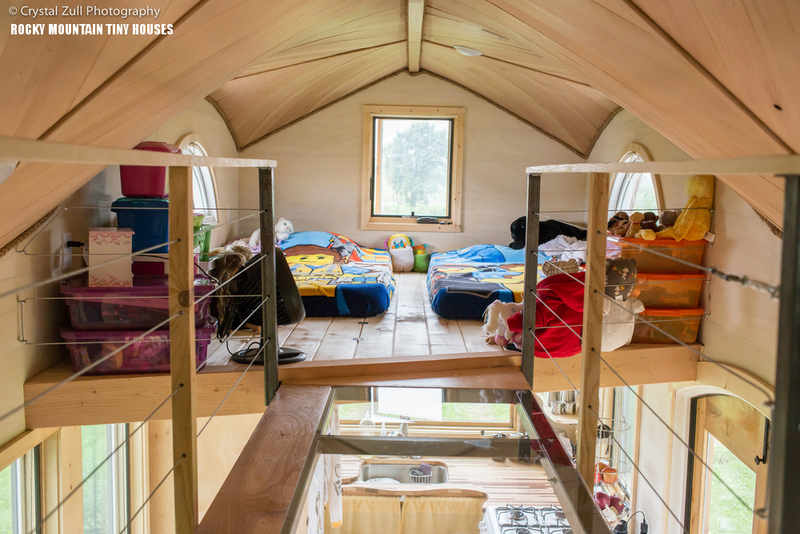 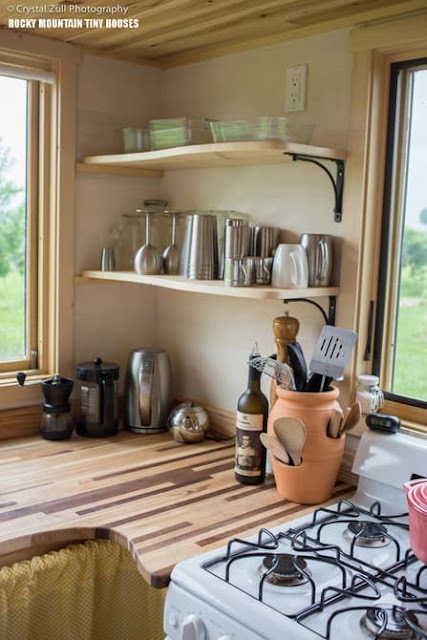 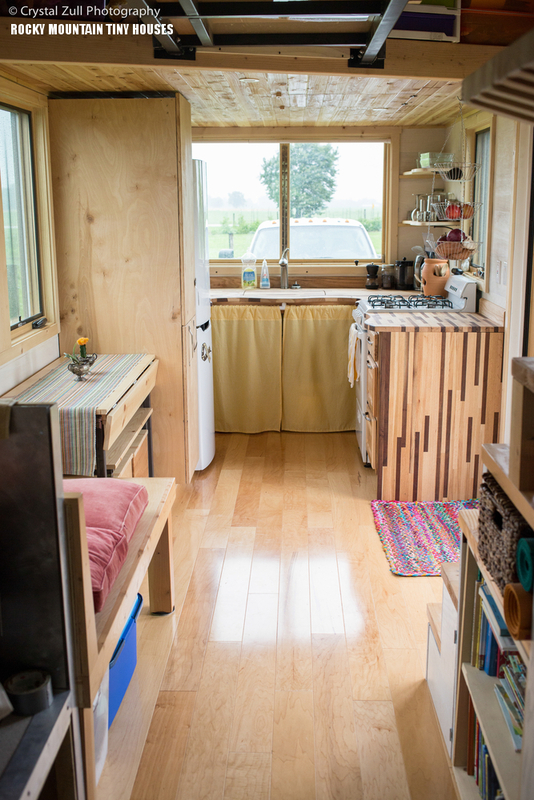 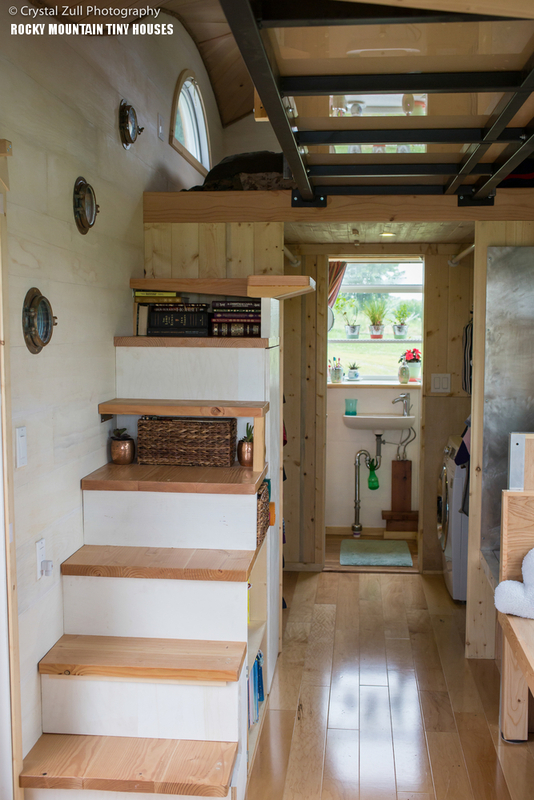 The Pequod measures just 208 sq ft, but despite its small size, it currently houses a family of four. 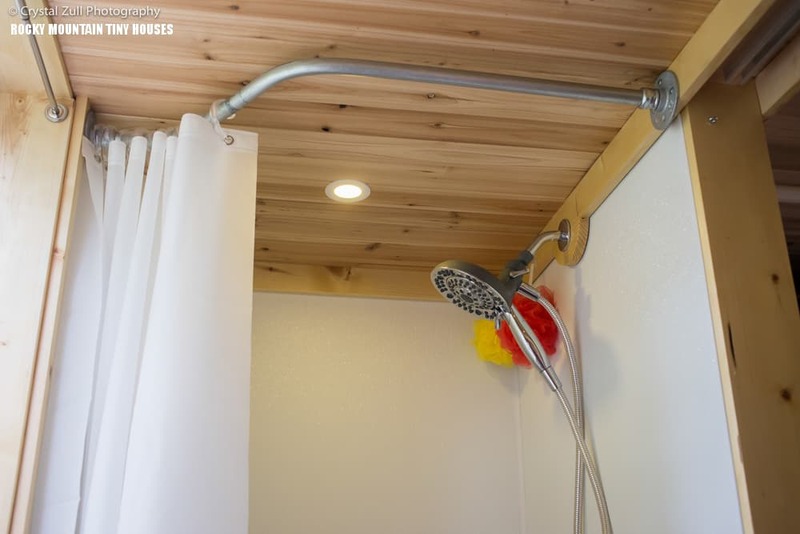 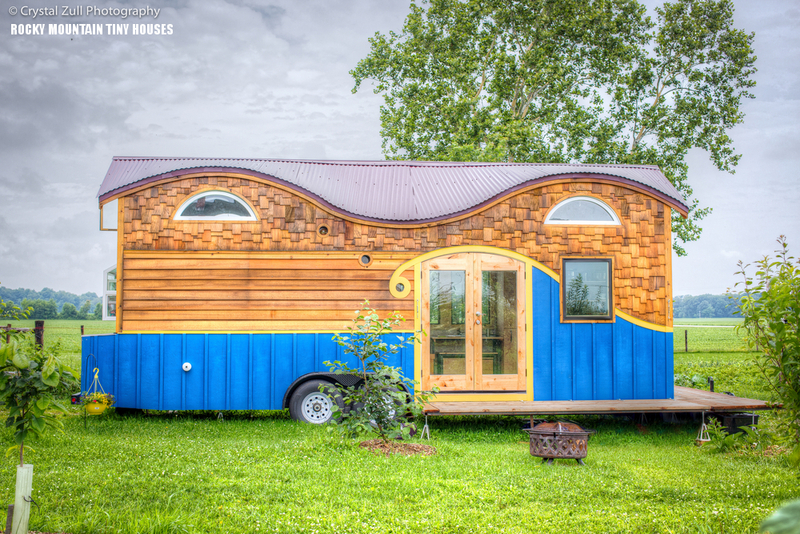 Built by Rocky Mountain Tiny Homes in Durango, Colorado, the home is smartly designed for living comfortably. 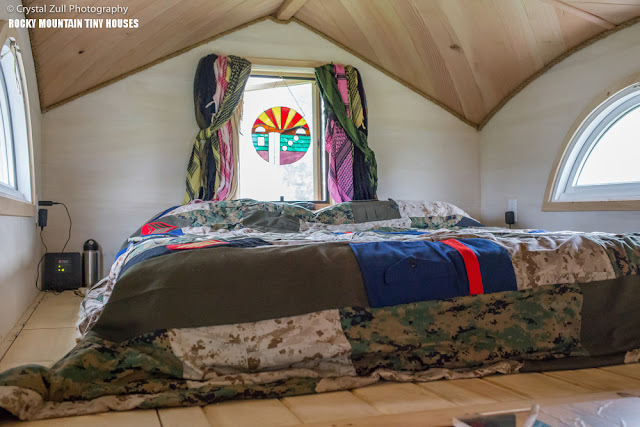 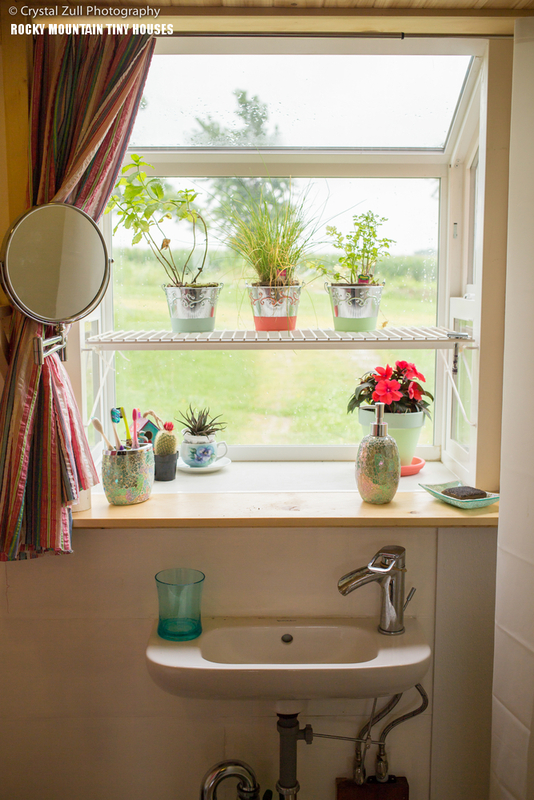 The home has a full kitchen equipped with a full-sized fridge, a four-burner stove, and a washer/dryer combination.There's also a full bathroom with a shower, sink, composting toilet, and a garden window to help the small space feel a little bigger. 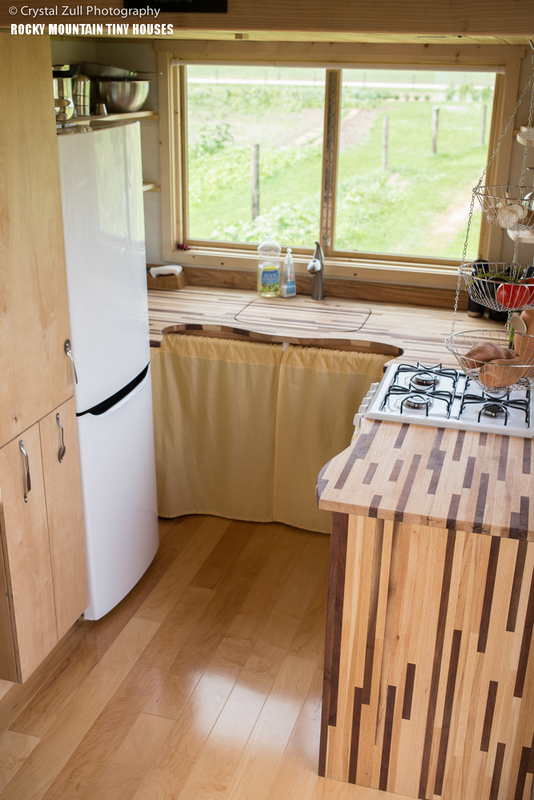 LED lights keep the home illuminated, and heat is provided by a wood-burning stove. 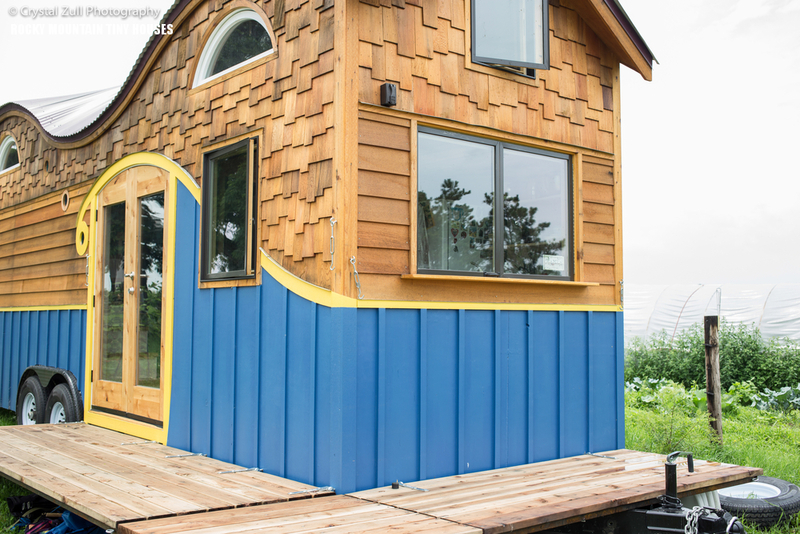 The home's electricity is powered by a standard hookup. Upstairs are two loft bedrooms, joined by a plexiglass and steel "bridge". 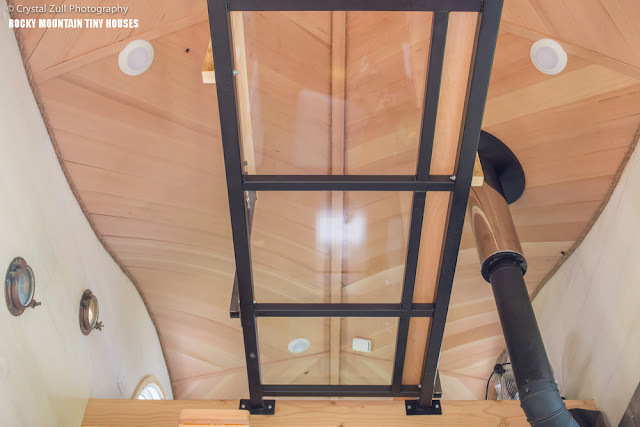 The home's arches ceilings make it possible to crawl back and forth, as well as give the home a bigger feel. 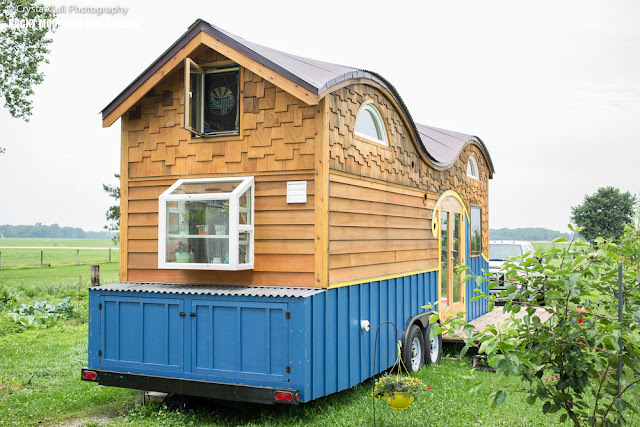 You can buy your very own Pequod tiny house for $80,000.